It was not long after writing her first poem that Tina B competed in poetry slams and won her first competition in 2007. She then became a member of Houston’s 2008 VIP Slam Team and was featured as “Artist of the Week” in Houston Press Magazine in 2009. By 2010 she began opening for major recording artists and performing in events across the nation, growing in notoriety and influence with her creative play on words. 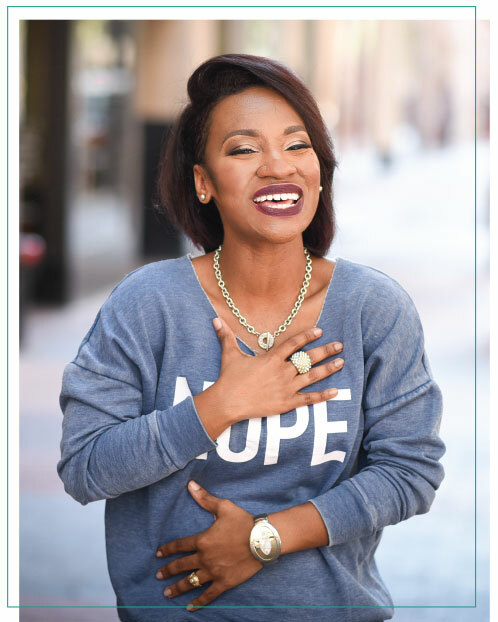 She has featured and appeared on notable platforms such as ESPN, NBC, KCEN, South by Southwest (SXSW) Music Festival, Passion for Christ Movement (P4CM), leading radio stations, magazines, and corporate events among many others. In 2011 she created Heartspeaks Custom Poetry, a company for her niche services in performing romance poems for weddings, proposals, and anniversaries – it is the only company in the world of its kind and has achieved record breaking successes. More than a poet and entrepreneur, Tina B is a motivational speaker and a Project Manager in the commercial construction industry. Closely related to architecture and engineering, her career has allowed her to be intimately involved with Science, Technology, Engineering, and Mathematics (STEM) and inspire audiences from her experiences and perspectives. She earned her B.S. Degree in Construction Science and Masters in Business Marketing from Texas A&M University – College Station. Beyond the achievements and accolades, Tina B says the most rewarding part of what she does is her ability to walk in her purpose and see the fruit of her labor in the testimonies of her listeners.